The much-awaited Linux Mint 12, code name "Lisa", has been released: "The team is proud to announce the release of Linux Mint 12 'Lisa'. 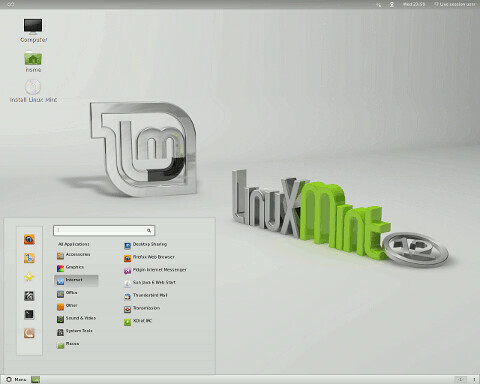 Linux Mint 12 comes with a brand new desktop, built with GNOME 3 and MGSE (Mint GNOME Shell Extensions), a desktop layer on top of GNOME 3 that makes it possible for you to use GNOME 3 in a traditional way. You can disable all components within MGSE to get a pure GNOME 3 experience, or you can enable all of them to get a GNOME 3 desktop that is similar to what you've been using before. Of course you can also pick and only enable the components you like to design your own desktop. The main features in MGSE are: the bottom panel, the application menu, the window list, a task-centric desktop (i.e. you switch between windows, not applications), visible system tray icons. MGSE also includes additional extensions such as a media player indicator, and multiple enhancements to GNOME 3." Read the release announcement and visit the what's new page for further information. No Comment to " Linux Mint 12 Lisa is Released "